The priests of St. Joseph's act as chaplains for the pupils and staff at St. Joseph's Primary School, Saughton Road. Once a month, a children's mass is held during the Sunday morning mass at 11am, where pupils from the school are invited to lead the congregation in the readings and prayers. The Augustinians at St. Joseph's are also on hand to lead the pupils through all their Sacraments, from First Confession, Communion and Confirmation. On Holy Days of Obligation, pupils from St. Joseph's School join the congregation for mass at 9.30am. St. Joseph's Primary serves the area from Carrickknowe and Forrester Park in the North to Clovenstone in the South and Balgreen to the East. The school has a broad and balanced curriculum, delivered by a team of caring and committed professionals. 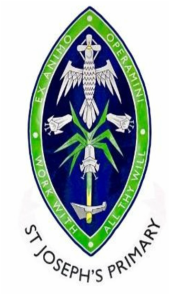 The school motto is Ex Animo Operamini. This translates into English as Put Your Heart into Everything You Do or Work With All Thy Will and it is one the school strives to live up to. As a Catholic primary, Christ and the Gospel is at the heart of everything the school does. It is the school mission to ensure that pupils are secure and safe in their learning environment, and that they receive the kind of education which offers them ample opportunities to maximise their talents and potential. Her Majesty's Inspectors carried out an inspection of the school in 2002. The HMI report states that St Joseph's is a very good school, highlighting tge very good curriculum, high levels of attainment, the caring and committed staff and the happy learning environment within the school. The head teacher at St. Joseph's is currently Mr Anthony Currie. Visit the school website for more details.